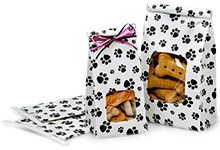 Foothills Farm & Kennel is excited to announce we have gone into the doggy snack business. Snick Snacks are made with all natural ingredients right in my home. There are no artificial colors, flavoring or presevatives used in our product.